Earlier this week the incumbent Batman confirmed his time as The Dark Knight had come to an end. 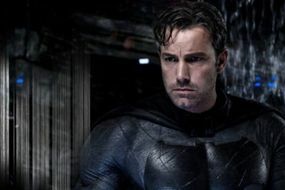 Affleck confirmed on Twitter: “Excited for #TheBatman in Summer 2021 and to see @MattReevesLA vision come to life.” The 46-year-old starred as the Caped Crusader in Batman v Superman: Dawn of Justice and Justice League, while also doing a cameo in Suicide Squad. Now while Game of Thrones star Kit Harington has been a favourite to be his replacement, he’s now in second place to Jake Gyllenhaal. According to Ladbrokes, Gyllenhaal is 3-1 to be the next Batman, while Harington is just behind on 4-1. Other hot contenders include John Hamm at 6-1, Michael B Jordan at 7-1 and Timothy Chalamet, Armie Hammer, Sterling K Brown and Richard Madden at 9-1.